Blu Dot? Proof that style and affordability can go hand and hand. With seeds sewn by college friends that couldn’t find any furniture they liked within their budget range, the company is now venturing into a new product category: bicycles. Collaborating with Handsome Cycles, a start-up bike shop on the rise, they’ve created a bicycle that is equal parts good design and good morals. The two companies, both based in Minneapolis, have been long-time fans of each others’ aesthetic, branding and marketing. With a huge focus on the customer experience and embracing both simplicity and creativity, the two brands didn’t just want the bike project to be about profitability. Handsome Cycles suggested supporting World Bicycle Relief whose mission is to bridge the education gap by providing transportation to school for children in impoverished countries. 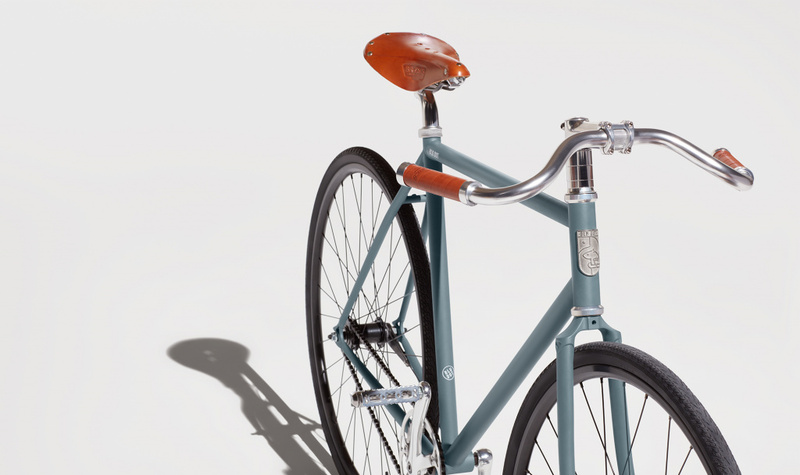 For every one of Blu Dot x Handsome Cycle bicycles sold, one bike will be donated to World Bicycle Relief. 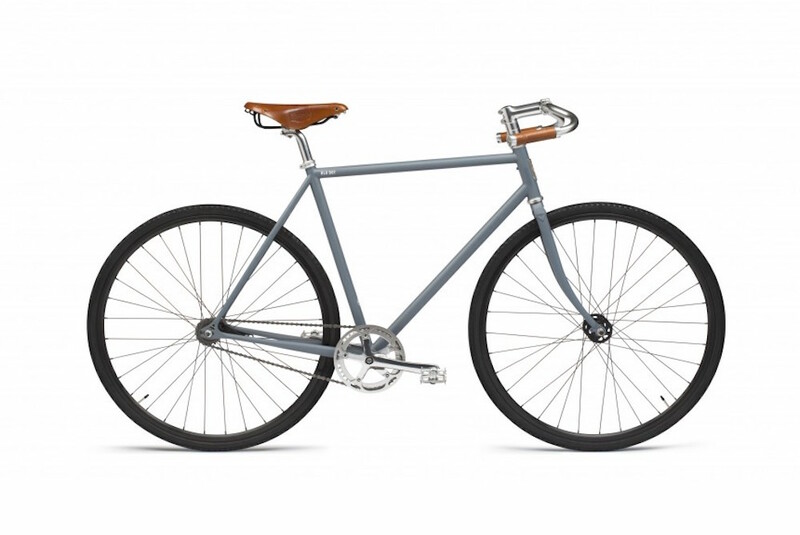 The bike itself is a sleek, minimalistic single-speed coasted brake ride made of high-end materials. Retailing for $799, the color, the leather saddle and the handlebars were all carefully selected to be comfortable, efficient and aesthetically-pleasing. What’s more, the bike even comes with a squirrel badge—an inside joke at Blu Dot. When the company was making an assembly video, one employee didn’t want to be filmed so decided to wear a squirrel costume. Since then the squirrel has been the unofficial mascot of the company. 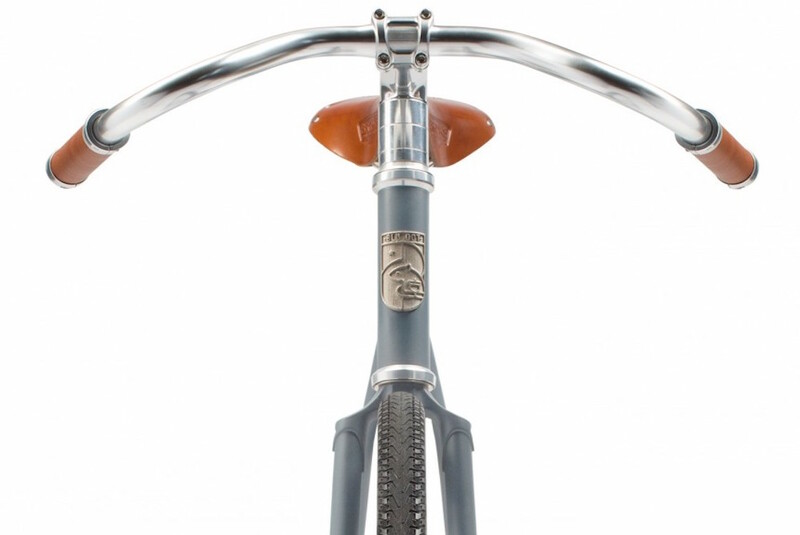 The Blu Dot X Handsome bike is available for purchase on the website.